A return visit to a highly-ranking café on the SoS charts! 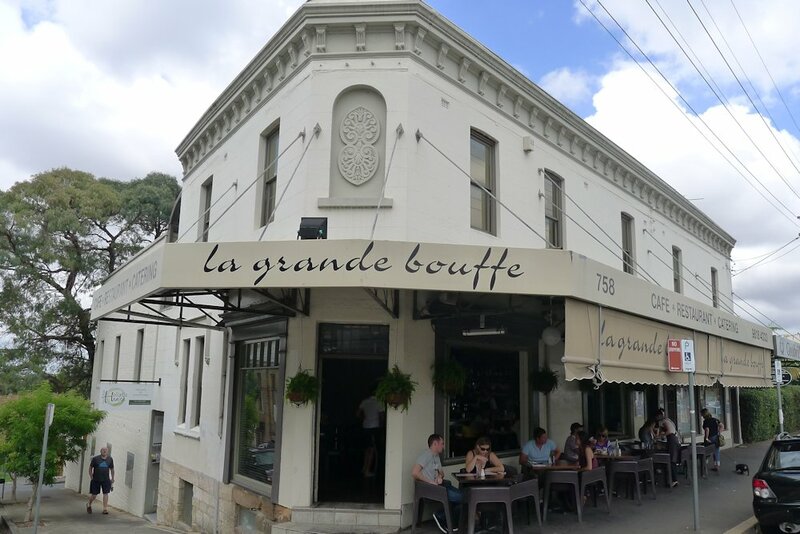 La Grande Bouffe has proven itself to be a French-based breakfast, lunch and dinner destination but it’s always good to revisit to ensure our reviews are reliable. See the previous review here. 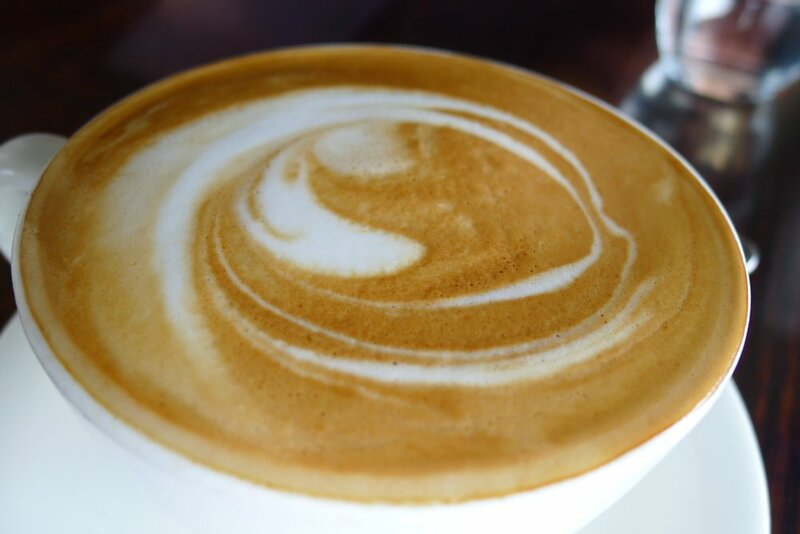 Service was spot-on from the moment we arrived thanks to the attentive French wait staff – water straight away and coffee fast & with a smile. Some of the music tracks we found to be slightly loud and repetitive but overall the open and relaxed feel (helped by the massive bifold windows) lull us into a state of café bliss. The menu boasts that the coffee is roasted onsite and bags can be purchased. After tasting the flat whites ($3.50) we can highly recommend taking some of these beans home with you. Flavoursome and bold, round two was soon on its way. Large bowls ($4.50) of brew may have been a better option! 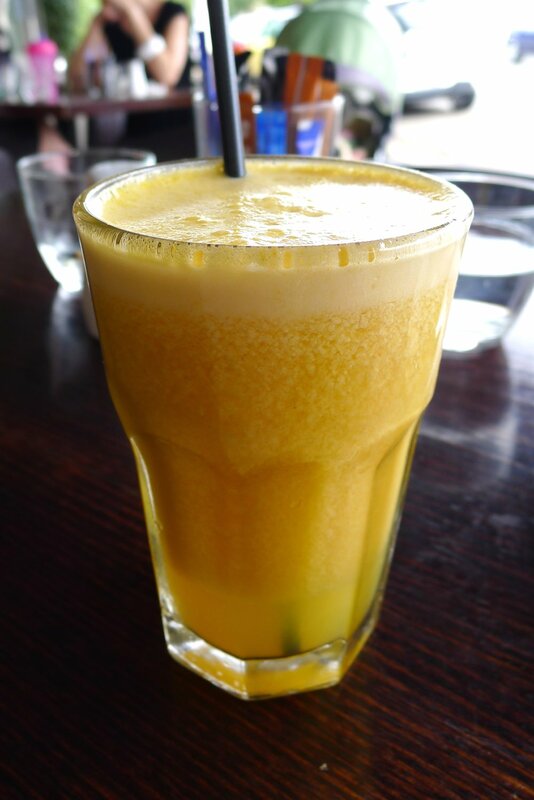 Freshly seasonal juices are available. Our orange juice ($5) was large, ice cold and just-squeezed as promised. Tea (English/Irish breakfast, Earl Grey, orange pekoe, chai, sencha, camomile, lemongrass & ginger and peppermint, $4) and hot chocolate ($3.50) is also available. 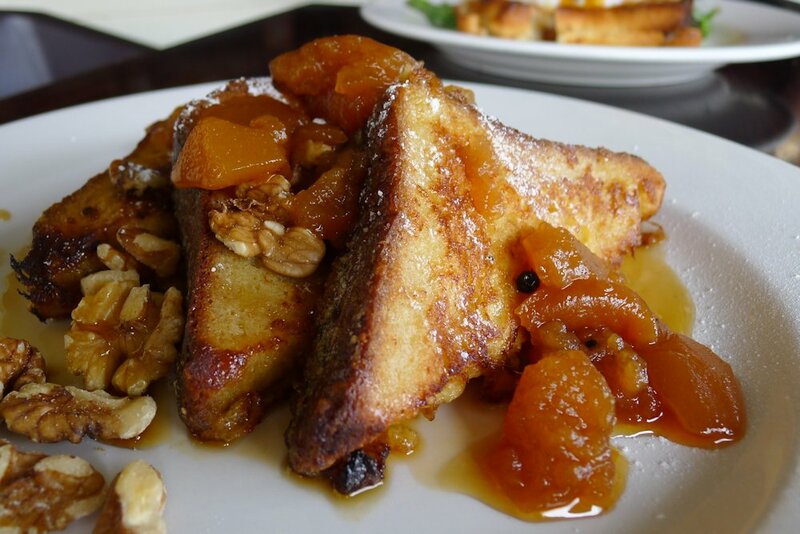 French toast ($15) with just the right amount of sweetness. Covered in maple syrup and served with candied pear and walnuts, the presentation and sizing was spot on. An interesting sprinkle of spices add some flair to a fantastic dish. 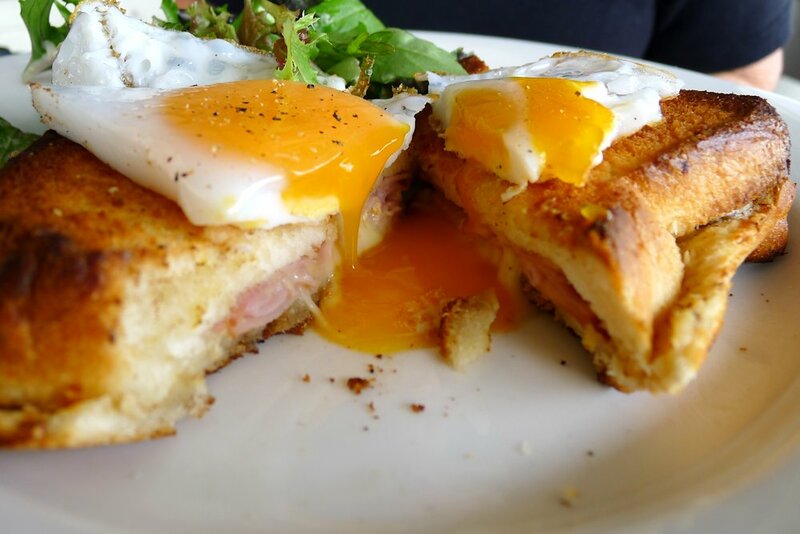 Also on the menu to confuse you is ham and cheese croissant ($8), crepes with mixed berry compote and marscapone cream ($14.50), La Bouffe big breakfast (eggs, mushrooms, tomato, bacon, Toulouse sausage and potato rosti, $19.50) and smoked salmon with potato cake, poached eggs and onion jam ($16.50). The vibe at LGB is chilled and friendly, the food professional (if slightly on the slow side) and the French accents fluttering past add a sense of authenticity. They deservedly retain their high ranking. This entry was posted in Sydney - Inner West and tagged Dog friendly, Fresh fruit and vegetable stores close by, Outdoor seating. Bookmark the permalink.